I'm delighted to welcome urban fantasy author Elizabeth Morgan to my blog today. 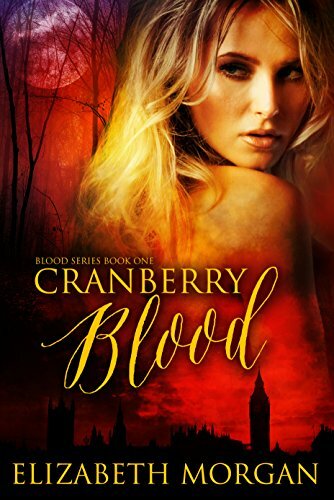 Before we segue into our regularly scheduled writing tip break (which is particularly useful for series writers such as I), I should inform you that Elizabeth is giving three lucky winners an ecopy of Cranberry Blood (Blood Series: Book One) AND an ecopy of Blood Secrets (Blood Series: Book Two). So, if you are interested in winning yourself this set then make sure to leave an entry on the Rafflecopter at the bottom. Also, don’t forget to go download your FREE copy of She-Wolf (Blood Series: Prequel), which you can read while you wait. Good Luck! It doesn't matter if you are writing your second book or your tenth in your series, always go back and read from the beginning. Yes, you will have notes on characters, locations etc and you will have all your important facts and links listed out, but through re-reading your series you will find that there is something that you a) might have forgotten about, b) something you might have got mixed up, or c) find that there is something trivial in one of the books that links up and cements a situation or fact in your next book. It's also a good idea to re-read a series just to make the story arc fresh in your mind once more. It's fine having outlines for each book, but it's not the same when you have had a break of so many months between finishing one book and starting the next. Plus, it's always nice to see how your characters have grown from book one, and have you have progressed as a writer. Start the Blood Series for FREE! 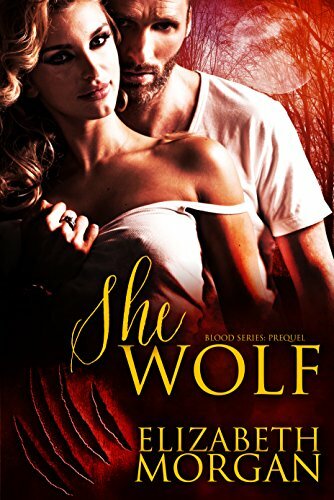 If you’re new to the Blood Series, but think you might enjoy the books then download your copy of She-Wolf (Blood Series: Prequel) for FREE today. And in preparation for the long awaited sequel, Cranberry Blood (Blood Series: Book One) is available for the bargain celebratory price of $2.99 until April 30th. Thereafter it will go back to its former price of $3.99. 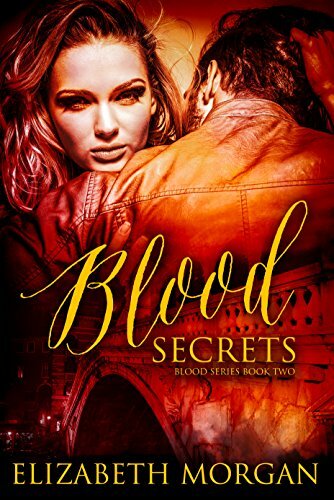 Download your copy of Blood Secrets (Blood Series: Book Two) at the celebratory release price $3.49. Thereafter it will revert to the price of $4.49. The walkway appeared desolate... Darkness almost shrouded the passage, but the streetlights of Venice, which stretched across the seemingly black water of the Grand Canal, cast slithers of light through the tall stone arches. A gust of wind ran past me and I shivered, the small tremble causing drops of water to fly from my soaked clothing and stain the grey slabs beneath me. A howl pierced the night sky, then another and another; a unison of agonizing cries echoing around the maze of buildings that made Central Venice so unique. To say that Ken doll was going to be pissed that I had took off was an understatement, but I couldn’t lose this chance. I wasn’t going to lose Marie. Pulling my sword from its sheath, I made my way towards the intricate iron gates which were open, held in place by chains that locked into two hoops that protruded from the grey bricks. Moving past the rough metal, I peered into the square, outer foyer to find the main double doors to the nest stood wide open in invitation, giving me the perfect view of the long, quiet hallway. I inhaled deeply. The stench of ancient earth polluted the air. With a steadying breath, I stepped through the doorway and past the two round pillars. Three large iron lanterns hung from the ceiling. A mosaic of stained glass caging the bulbs inside, casting fragments of multi-coloured light across the cream walls. The glow from them curled around the sculptures lining the walls, the shadows of their perfect forms stretched across the blank canvas, disfiguring as I moved past them. My heart thundered in my chest, so loud that I was pretty damn sure it was drowning out the squelch of water in my boots as I tread lightly and swiftly across the coral and ivory diamond tiles. Droplets of water continued to travel down my skin and beneath my clothes, which already clung to me like a second skin. My curls were a drenched mess. Stray strands had escaped the bun I had shoved my hair in earlier, the wet chunks sticking to my face and neck. I walked past the two sets of closed double doors which sat across from each other. My focus strayed to the enclosed, dimly lit stairwell on my right.... It was now blocked off by an iron gate similar to the one protecting the front entrance. Another set of doors sat closed to my left, but it was the archway at the end of the hallway that I was drawn to—the only other doors that lay wide open in invitation, and despite the light in the chamber being dim, I knew she was in there, waiting for me. Oxygen burned my lungs. A stitch had claimed my right side, and the scent of blood from my weeping wounds had my senses peaking. Only this task remains. Tightening my grip on the hilt of my sword, I moved into the large chamber. No furniture filled the space. All the curtains were drawn. The dark, thick material ran the length of the wall, indicating that the windows stood from ceiling to floor. The walls were painted in panels of patterns so fine, but I couldn’t make out the details. Not that the particulars of the interior of a nest ever really mattered. Although, this was by far the fanciest I had been in. My feet faltered as my gaze landed on him. The air caught in my lungs as pain seared through my lower back. I lurched, a scream lodged in my throat.